A lot of things about the birth of my first child are a blur, by design. We’d have a hard time perpetuating the species if our memories of childbirth didn’t soften around the edges with time. But one thing I remember quite clearly was something a nurse told me as she walked us out the door, our new baby boy bundled in his car seat. She was this tiny, older woman with a wise and kind face, and she said, “People are going to give you a lot of advice. Just nod your head and then do whatever you want.” Then she smiled. That may be the best piece of parenting advice I’ve ever received. It’s not that the advice we get isn’t helpful. Heck, I’d have floundered as a parent without having my family and friends around offering advice and moral support. But what the nurse said that day was equally important. Let me translate what I think she meant: people will give you a lot of advice, but remember to trust your instincts. That lesson is one we have to continually relearn as mothers. I remember taking the baby out to lunch one day and watching an older woman walk all the way across the parking lot to admonish me for not putting a hat on my baby. My mother still texts me, 10 years later, to remind me how to care for my kids. Everyone around us seems to have an opinion, and a lot of other mothers may think they can do it better. But the truth is, they can only do it differently. Of course, that doesn’t mean we don’t make mistakes. Obviously, we’ve all had those mom moments where we think, I wish I had— or If I’d only—. That’s the ironic part about parenting criticism. We’re all in the same boat and yet, it’s also natural to think, If I were her, then— or If that were my child, then—. As new mothers, criticism hits us hard for many reasons, the most likely being that it reinforces our own fears or internal criticism. Any woman who becomes a mother without some fear is a mythical creature in my book. As new moms, we frequently have no idea what we’re doing. We’re worried that we’ll break the baby or that we’ll make a mistake that is so catastrophic we’ll never recover. When we do make mistakes, we are our own worst critics, so having someone point out our flaws only reinforces what we’re already thinking: I’m no good at this. One of the dangers of taking parenting criticism too hard is that it keeps us from asking for help when we desperately need it. When Hillary Clinton said, “It takes a village,” boy, she wasn’t kidding. For most of us, it takes partners, family, friends, schools, our community, and even our children. We read books, take classes, observe other mothers, and still we often feel at a loss for what to do next. Being able to reach out when in need is part of making healthy, responsible decisions for ourselves and our kids, yet fear of criticism can keep us from seeking the resources we need. As Solo Moms, we need to start learning to deal with parenting criticism more effectively. 1. Remove “you” to get to the heart of the problem. People have a habit of phrasing criticism as a personal attack. So our challenge when dealing with parenting criticism is to take away the personal part and evaluate the criticism objectively. 2. Thank the critic; acknowledge that you have heard what was said. No matter how cranky you’re feeling, try to stay positive. Criticism most likely will come from those you love, so whether or not you agree with the criticism given, acknowledge it. You may find that not responding defensively lowers the critic’s defenses, too. 3. Do your homework. We’re pummeled with well-intentioned advice and criticism that is sometimes outdated or based on bad information. When in doubt, do your research. Call your pediatrician and ask advice. Base your actual parenting decisions on good information rather than reacting to criticism emotionally. And finally, as mothers, we need to stop criticizing our sisters. Parenting is hard enough without tearing each other down. 1. Acknowledge your role. You’re not the mom! I mean, maybe you are a mom, but not to that particular child, so try to keep that in mind when you offer advice. 2. Admit your mistakes. Share your own mistakes. As moms, we sometimes interpret advice as criticism because we already think we’re doing everything wrong. Show that you did it wrong, too, and then share how you found your solution. It’ll remind both parties that you’re on the same team. 3. Encourage! 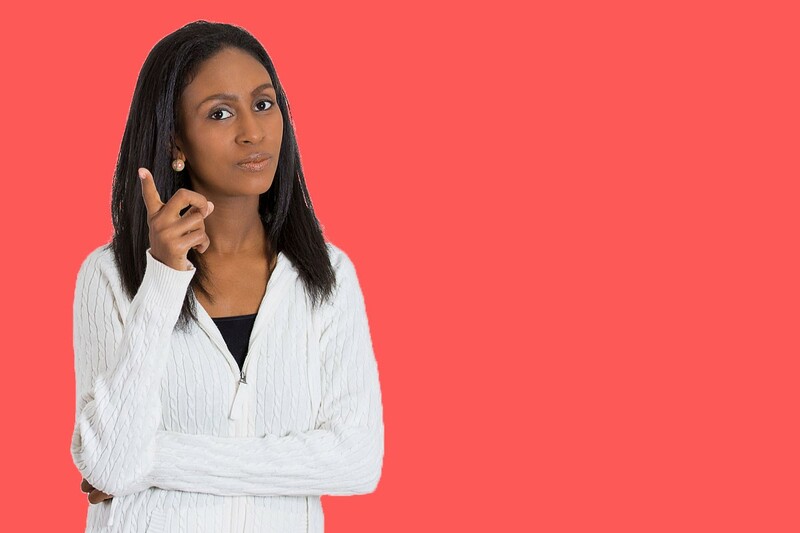 Temper your advice and criticism with positive reinforcement. After all, it can’t all be bad. As moms, we’re designed to do what’s best for our children, and most of the time we succeed. Sometimes I feel genuinely amazed that I’ve managed to bring my kids along this far in life with only a few minor hiccups along the way. So, to all Solo Moms (and to all mothers everywhere), you can do this. Give advice and criticism appropriate attention, but trust your instincts. You were made to be a mom!